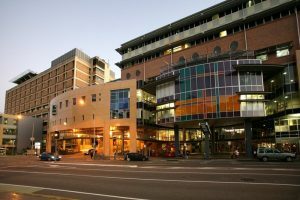 Brisbane Tree Experts recently worked on the large hill section on the Adelaide Street side of St John’s Cathedral in Brisbane’s CBD. 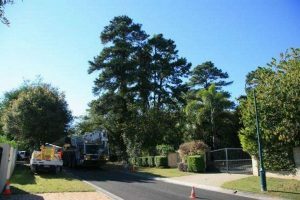 We had large cactus and large trees which were encroaching over the road, and a lot of dead timber which had been falling over the bus lane and pedestrians, which we had to clean up to ensure it was safe for commuters going to and from work. Brisbane CBD work is difficult in itself. 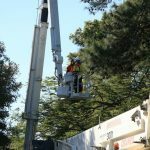 One of the things we don’t want to do is have any accidents, so this job required a high level of safety equipment to be used to make sure everything went smoothly. We used a 28m tower (cherry picker) to access the main height, and then one of our crew on a line to abseil around the hill. We had the bus lane underneath and a lot of pedestrians, so we had a traffic control team in place to manage this aspect of the job. Because of the road way below and the terrain, this job took a couple of months to organise with Brisbane City Council, permits, police, so it was quite a technical job which took 2 days to complete. 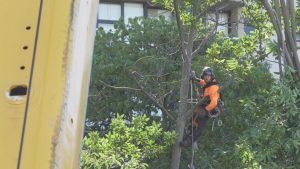 For St John’s Cathedral to invite Brisbane Tree Experts to do their tree work was quite a special thing. 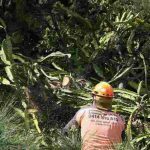 Brisbane Tree Experts support a lot of clients around the CBD, and we do work at South Bank and with the Brisbane City Council, which is really important to us as a company. 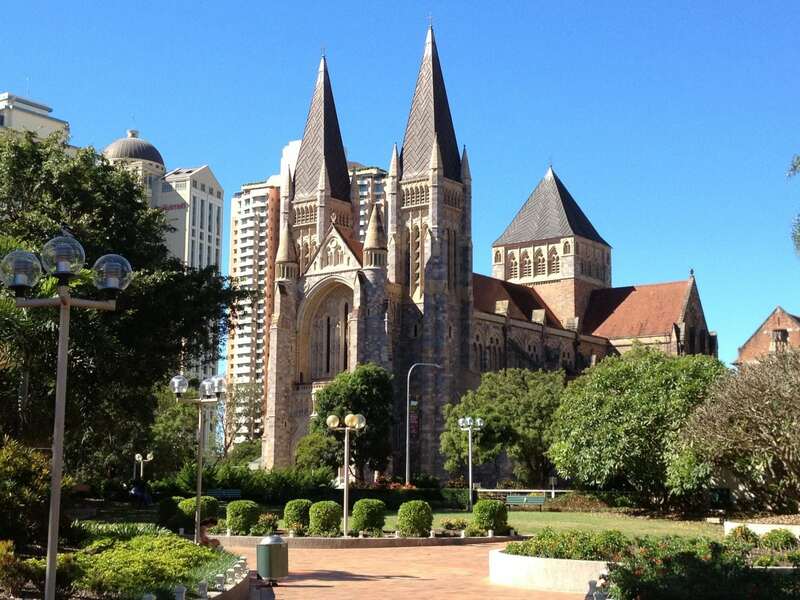 We achieved a great outcome for St John’s Cathedral and the job got done really, really well. All our crew went home safely, which is our aim each and every day. Check out our video of the tree work at St John’s Cathedral below. 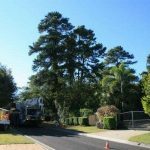 Brisbane Tree Experts can help you with your technical tree removals and large jobs which require a lot of attention and details. Call us today 1300 043 740.